Kombat Kast has been a regular live stream, which has been NetherRealm’s primary way of showing off characters. They also give out other smaller details and answer questions from the community. Yesterday’s Kombat Kast is where they showed the trailer for Kitana and D’Vorah, which we covered. They also answered questions about such things like microtransactions. I know, some of us get nauseous at the sound of that word. However, you can quell your fears because Mortal Kombat 11 microtransactions will not affect gameplay. They will be present, but will not give anyone an edge. Mortal Kombat 11 producer Shaun Himmerick said that the in-game currency will be called Time Crystals. Time Crystals can be purchased with real-people money and used to buy different cosmetic additions. These cosmetics include, but are not limited to, different skins, costumes, and gear. Other additions are a tiny bit more involved than a skin. Fans can also purchase alternate intro and victory animations, as well as a consumable item for “easy fatalities”. So instead of ↓→↑←ABX, players will be able to input a more simplistic button combination to achieve an equally brutal finish to their fights. Again, that shouldn’t affect your game; you’ve already been defeated. NetherRealm has also stated that there is a possibility of added moves to the game post-launch, but that would very likely be in a free update. 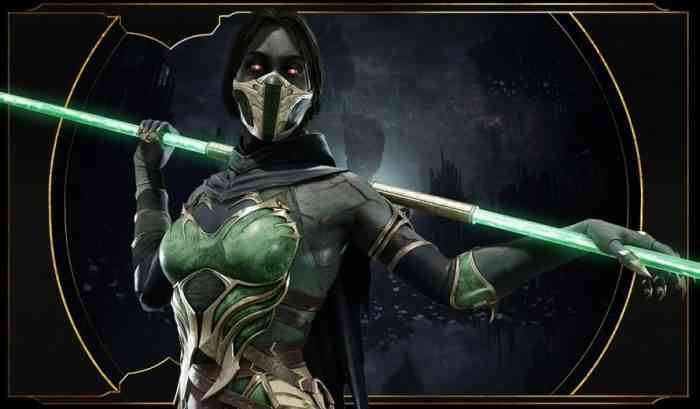 There will be no Kombat Kast next week, as Mortal Kombat 11 also comes out next week. You can watch yesterday’s full Kombat Kast on YouTube. Yes, on April 23rd, Mortal Kombat 11 will be out on Nintendo Switch, PC, PS4, and Xbox One. Are you going to be picking up Mortal Kombat 11? Let us know in the comments below.